Make a Moon Phases Calendar and Calculator. 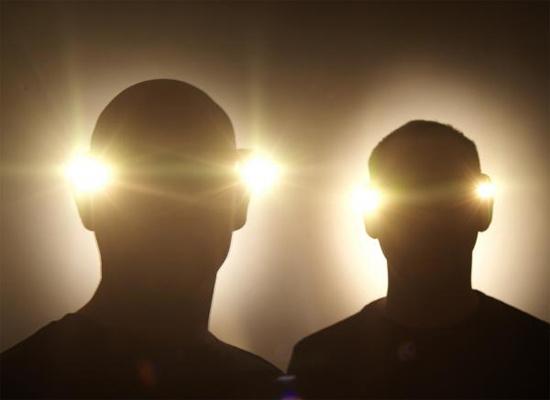 Have you ever wondered when the next full moon will be? How about the first quarter moon? 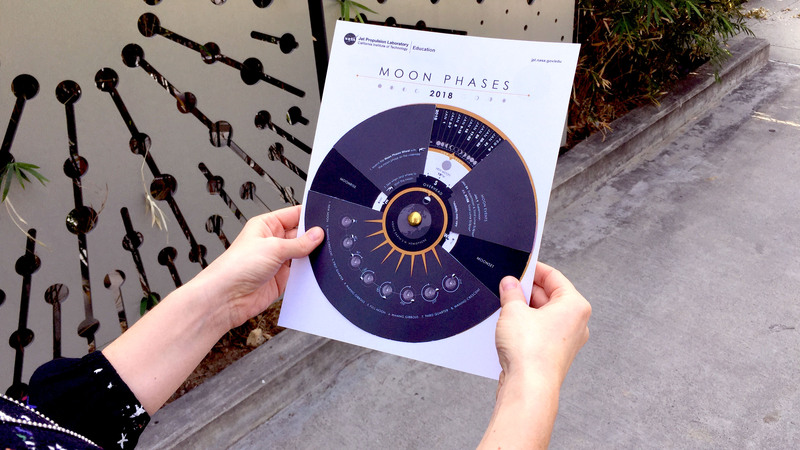 Now you can have all the dates and times for all the moon phases for the year at your fingertips by building your own Moon Phases Calendar and Calculator! 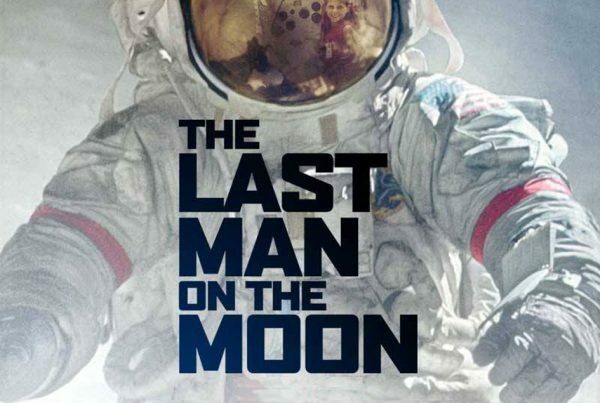 You don’t need the power of a telescope to study and understand the relationship of the moon and the Earth. By creating an Earth and moon model, you can replicate some aspects of this relationship. 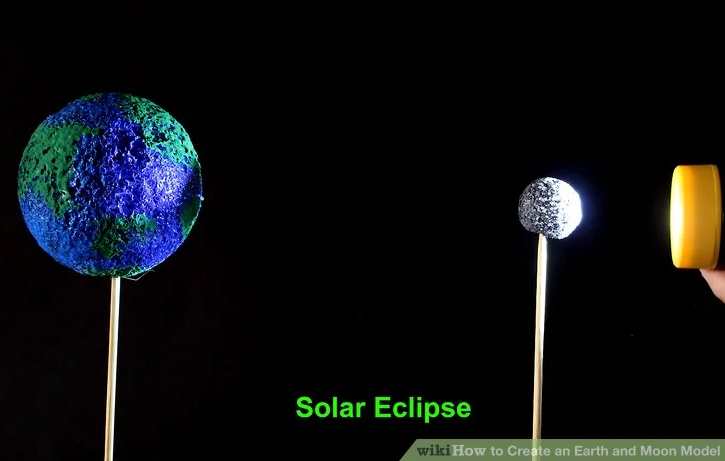 Things like solar and lunar eclipses can be modeled by making such a model. 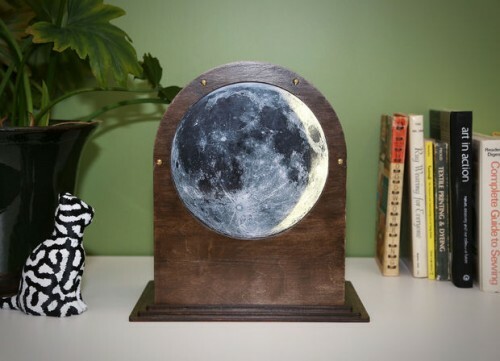 We found a simply beautiful Raspberry Pi project over at Instructables: this illuminated lunar phase clock. 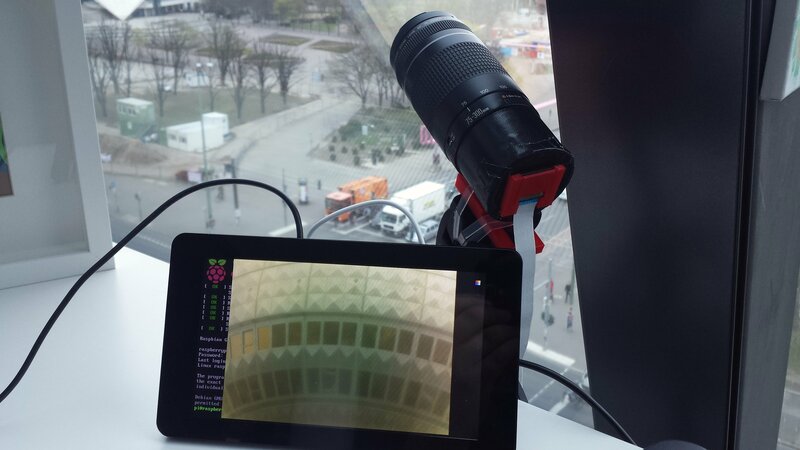 With the aid of a 3D printed lens adapter, it’s possible to take detailed photos of the moon using the Raspberry Pi Camera Module! This stunning ‘Real’ moon clock. 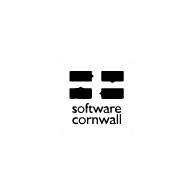 that has a rotating moon which depicts the phase of the moon. 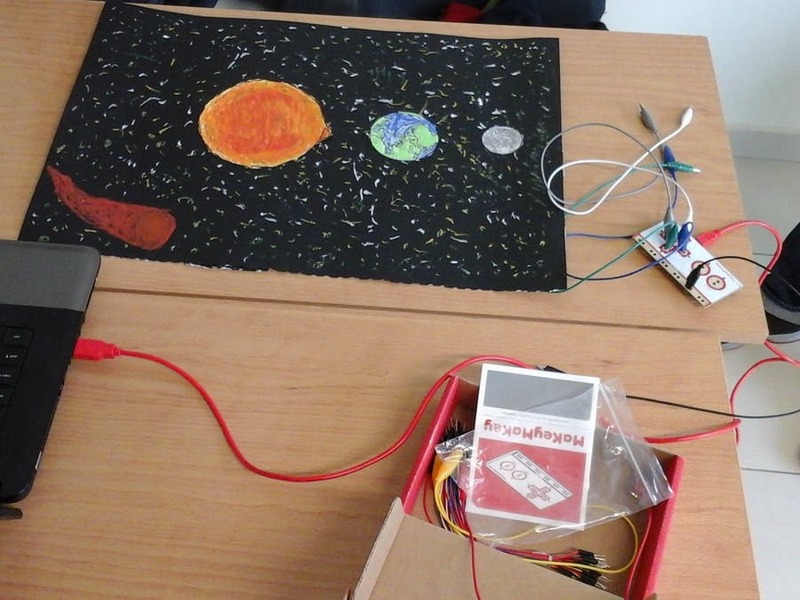 A journey through the Solar System with Makey Makey and Scratch by 2nd and 3rd grade students. 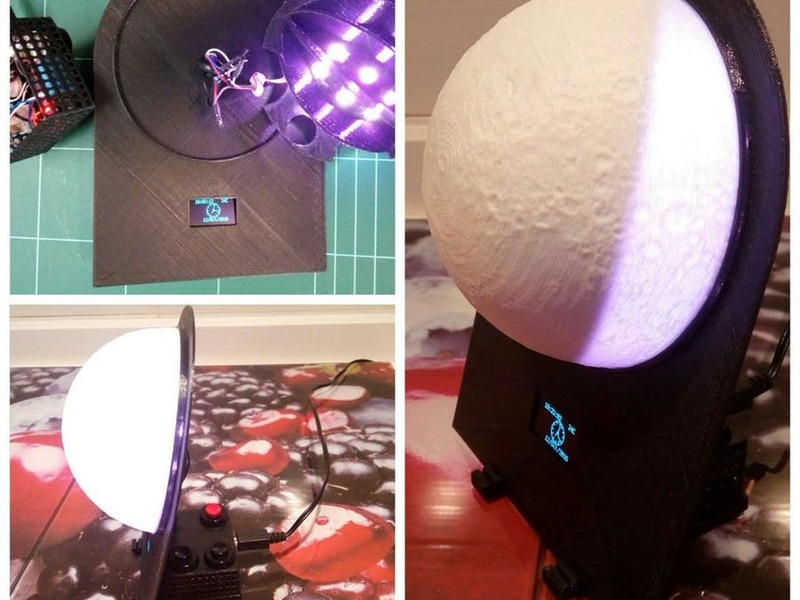 Build a 3D printed Lunar Phase Clock for your desk or nightstand. 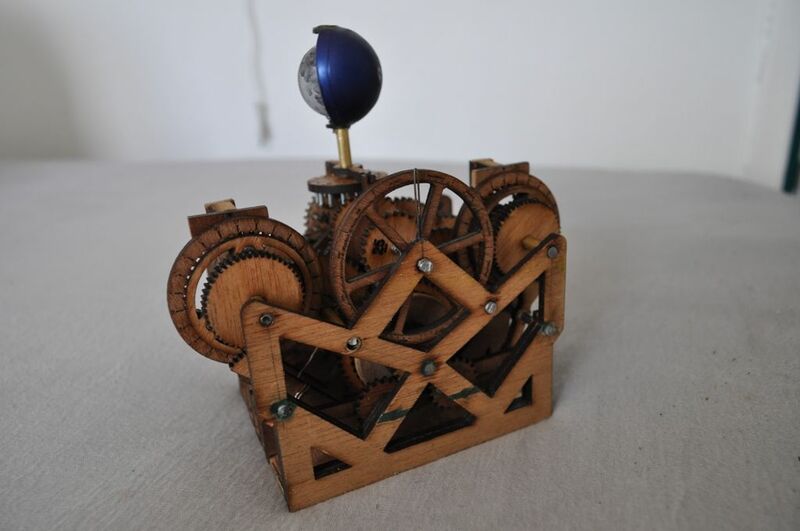 A machine that will show the rise and set times of the Moon – a Moon Machine.